(Originally posted on Activating TOK) Did you know that green coffee bean extract can help you lose weight? No? Me neither! Today, I’d like to propose a class discussion on thinking critically about media knowledge claims for products that yield fabulous (literally) medical benefits. The discussion is given a caffeine lift by a bite-sized example from a year ago – a story of fabulous claims and the corrective process of science. to frame interpretation of data with larger scientific understanding (TOK methodology of the natural sciences). As teachers, we can usually enter a topic easily enough through following arguments and linking them with our own understanding of TOK and our own experience. But when we take a topic to class, we don’t always teach in the same way we learn. We often want to provide real life examples to get students started in their own thinking, and then guide them from the specific case toward general concepts and distinctions. Purpose: This discussion is on knowledge claims based on (that is, “justified by”) apparent clinical trials, and on the way science works not by proving statements true but by knocking out knowledge claims that are demonstrably false (that is, “falsifying”). It reinforces the skills and awareness constant in TOK teaching: skills of applied critical thinking and awareness of broad knowledge questions. Procedure: Nothing unusual. The activity involves students reading two short articles sequentially, with teacher-guided discussion. 1. Article 1: The knowledge claims. 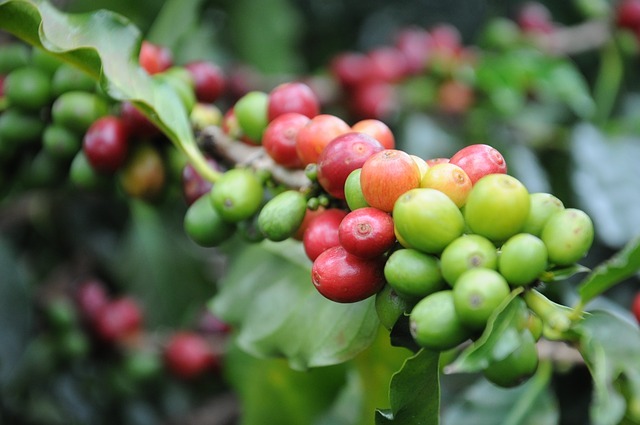 What might make them accept the knowledge claims about green coffee beans as convincing? What apparent evidence is given? What features of the claims of the website context might make them hesitate to accept the claims about the health benefits? What questions would they like to have answered before they accept or reject the claims? How would they formulate these questions? 2. Article 2: The Retraction. Is it a failure in science that false knowledge claims are ever made, or a success in science that they are weeded out, or both? What part does retraction play in the methods of science? In face of people trying to sell fake remedies, what can individuals do to protect themselves? 3. Conclusion: larger knowledge issues. Last, ensure that general TOK topics are raised and reinforced in discussion. This example of green coffee beans is trivial in itself, but can be used to draw out class discussion on questions in two categories – first on applied critical thinking and second on broad knowledge questions. In the methodology of the natural sciences, what is the role of peer review in scientific publication? Is it a perfect process? If not, what undermines it, and what strengthens it? Does data ever “speak for itself”? What is the difference between clinical data and knowledge? It has often been said: “Science does not prove statements true beyond question, but does prove statements false”. Do you think this is a good description of scientific methodology? A group of scientists critiquing problems in medical knowledge claims has insisted that the term “evidence-based medicine” should be replaced by the term “science-based medicine”? Why does it matter to have “evidence” interpreted by scientists? The final question above harks back to Theo’s blog post last week: “Evidence Based Medicine”. I recommend raising the distinction in class to illustrate the way that a shared understanding of terminology is important in the sciences (concepts/language). A critique of sloppy or dishonest use of terminology is, at the same time, an insistence on rigorous methodology. Myself, I’d be tempted to end this class by offering students chocolate-covered coffee beans – with no claims about benefits to their health! ← We’re all going on a summer holiday!